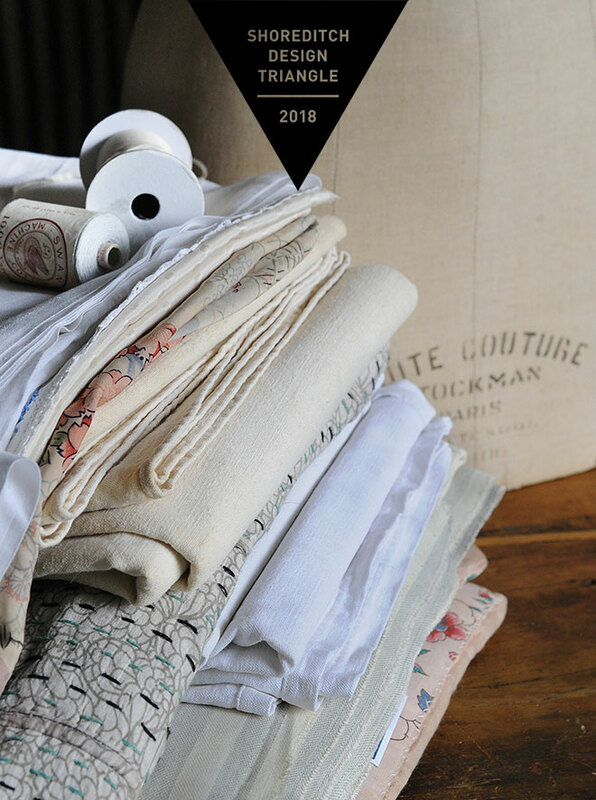 Exploring the concept of Zero Waste pattern cutting, you will reuse handpicked vintage furnishing textiles to design and make your bespoke Upcycled Dress. Combining traditional skills with a contemporary vision, you will experiment with the materials and learn new creative possibilities to create an original, one-of-kind piece of clothing. While taking the time for yourself to enjoy the power of making, you will also be able to discover the work of the lead designers, focusing on a more ethical and sustainable fashion system. Feel free to bring your own sewing machine. Location: Elemental Studio, Sheep Lane, E8 London Fields. Aurore and Laurence met several years ago in Paris when working on the Artisanal Collection at Maison Martin Margiela. Since then, they have taught together at a number of masterclasses and workshops in Fashion and Textile institutions in the USA, France and Canada. This September, during the London Design Festival, Elemental’s flagship Shoreditch store will sell an exclusive selection of Thibout’s sustainable clothing along other selected designer makers. These two workshops are a great creative and learning opportunity for anyone interested in conscious, handmade and upcycled products. 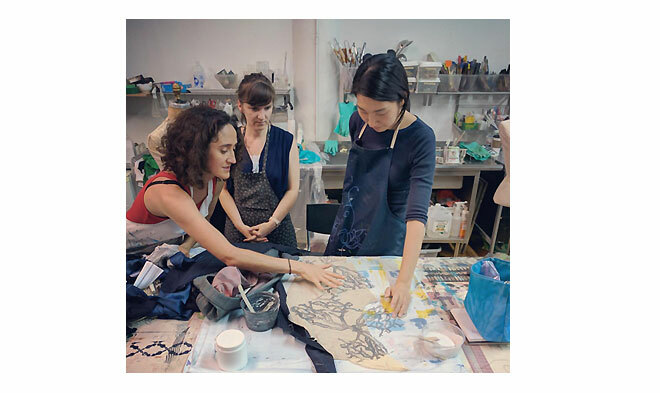 From left, Laurence Teillet and Aurore Thibout teaching at the Contemporary Textile Studio Co-op in Toronto, June 2017. Aurore Thibout is a textile and fashion designer and visual artist living in Paris. In her work, she captures the passage of time and explores the concept of memory through creating limited editions and unique pieces. Melding tradition and innovation, her creative process begins with selecting materials and involves recycling antique fabrics and using natural dyes. Thibout travels all over the world to teach workshops and materclasses, recently completing projects in Taiwan and Japan. Her collection ‘Colour of Time’ reflects cultural heritage from past centuries through to the present day. A selection of her latest pieces will be for sale on exclusively at Elemental during the London Design Festival. Laurence Teillet is a multi disciplinary designer focused on sustainable textiles and fashion. Designing with a conscience: being aware of her impact in today’s society by re-using waste materials to experiment, to refine and redevelop new types of fabrics and possibilities for clothing. After working for many years in the fashion industry in Paris and London, she is currently the Artistic Director at Elemental. She is leading experimental masterclasses and workshops to transmit her experience, to share her creativity and to highlight the importance of sustainable design in Fashion and Textiles.